I am always curious as to how budget figures for 19th Century america reflect property acquired from indians and redistributed to settlers. The Homestead Act was arguably one of the largest tax and spend programs in history. Also, many railroads were financed by grants of government land or extension of emminent domain authority. Hi. Thanks for the interesting article. However, as I have noted before, since a lower deficit is equivalent to a reduction in private income, debt reduction should preferably occur only during “good times”. offset the negative impact on the economy of lower deficits. If these sources of growth are declining or stagnant, then a lower deficit will just make economic conditions worse – undermining the objective of a thriving private sector. A long historical perspective is rare so this article is excellent in that regard. Over the period reviewed, the U.S. had depressions beginning in 1819, 1837, 1857, 1873, 1893 and 1929. To my point, Mr. Edwards failed to point out that all of these depressions, with no exceptions, were preceded by budget surpluses. That is, an important contributing cause of the depressions was the reduction in private sector incomes caused by the preceding persistent budget surpluses (public sector surplus = private sector deficit -holding the external sector constant. This in not theory – just double entry bookkeeping). only slowly. Therefore, unless I am missing something, at the moment, deficit reduction would seem to fall in the category of “be careful what you wish for”. Any comments more than welcome. Thanks. Excellent point. Budgets have been balanced before and they will be balanced again. Even here in Ireland where politicians are as dishonest and short sighted as America (if not more) we had balanced budgets for the decade before 2008. A bit more than 100 years ago, the average citizen paid over half of his taxes to local government, less than a third to the state and around 5% to the Feds. We had built the gretest nation in the world on such ratios. What you neglect to mention is, military spending was high during the Civil War, and during that period of balanced budgets military spending dropped drastically. However, non-military spending surged during that period of balanced budgets. Should that be our pattern? Charles D’s response covers the 19th century. 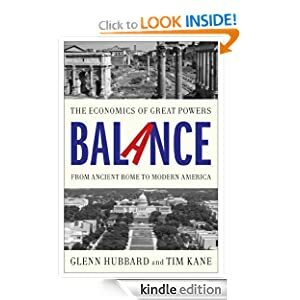 In the 20th century the US had some 34 balanced budgets, all but one was ended by a recession. That one was during the Vietnam war. War tends to reduce the chance of balancing the budget. Also, I note the worst recessions of the 20th century, the Great Depression and the 2001 recession we never really recovered from, were preceded by the longest strings of balanced budgets. Mr Edwards neglected to mention that military spending surged during the Civil War. After the war military spending plunged, but non-military spending expanded. That pattern seems to hold to a certain extent after that, but I haven’t reviewed the numbers closely. Nor have I reviewed the numbers after 1930 as there has been no significant reduction in the debt after that year. Seems not only war, but constant preparation for war are not conducive to debt reduction.